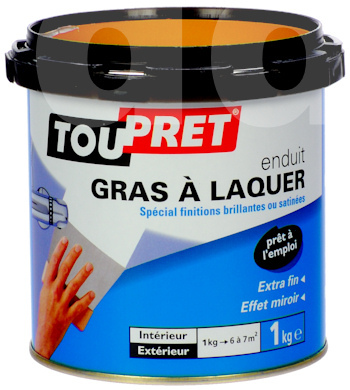 For achieving an immaculate, super smooth high gloss finish, no other product can assist the professional painter and decorator as much as an oil based, ready mixed fine surface filler like Toupret Gras a Laquer. When used as a base for a good quality high gloss paint like Sikkens Rubbol XD, or Rubbol AZ it leaves a mirror like shine that is unbelievably smooth. 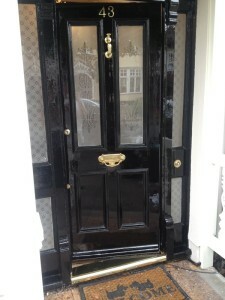 It is applied in thin layers across the full face of a door, or whatever surface you are decorating. It can be used on top of old coatings, primer, any undercoat or in between topcoats that have cured enough to take surfacing and abrading. 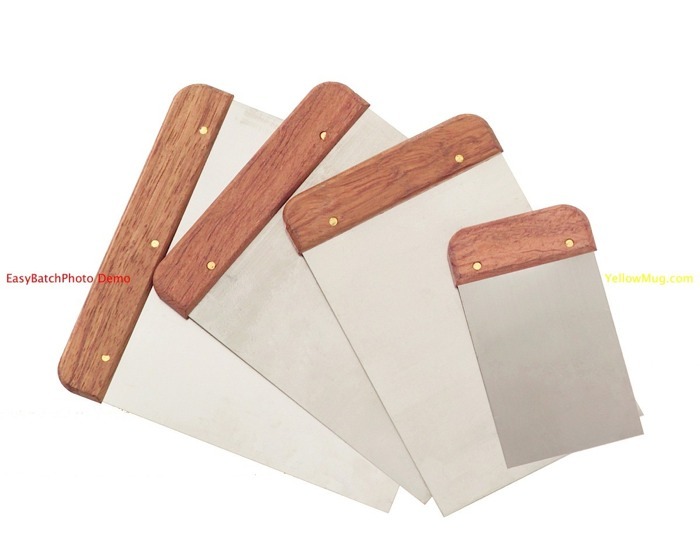 I find continental style filling blades best for applying Gras a Laquer, as you are closer to the surface I find it is easier to accurately apply a thin even layer. It is important not to overfill as it cannot be rubbed down and you would most likely have to scrape it off and start again. Continental filling knives for more controlled application. Gras a Laquer should be left for 24 hours before it is rubbed down, I find 320 grade wet and dry sandpaper best for this. 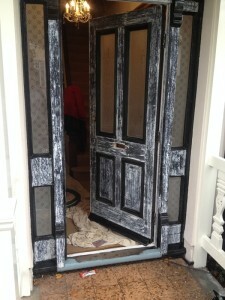 Dampen the door with water using a spray bottle, which is less messy than wetting the sandpaper. Start at the top and work down in smallish sections, wet it, rub it down, spray more water and wipe off the residue with a clean cloth before moving onto the next section. You don’t strictly need to use wet and dry sandpaper but I have had problems with heat friction from power sanding cause the filler to soften and tear, wet abrading keeps it cool and is very effective. Gras a Laquer applied and rubbed down with wet and dry sandpaper. When it has dried off hoover it off with a brush attachment on your reliable old Henry, or Festool extractor if you’re a bit posh! Then wipe down with a tack cloth, making sure to get into all the corners, you might not see the little bits of debris now but you will see them sitting in the paint film if they are not removed! Now that you have a glass smooth surface that can be painted and it’s up to you to work your magic with a brush. 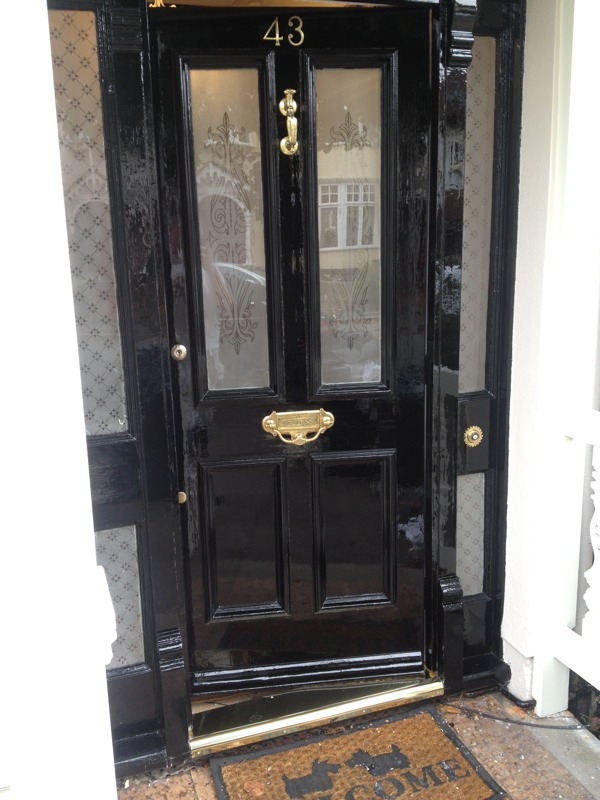 With good technique you can achieve a high gloss finish that would not look out of place in Downing Street. Finished with two full coats of Sikkens Rubbol AZ gloss. There’s no reason not to use Gras a Laquer under eggshell or satin finishes either, i have done this a few times with very good results. It works under both oil and water based finishes, internally and externally and on pretty much any previously painted surface. 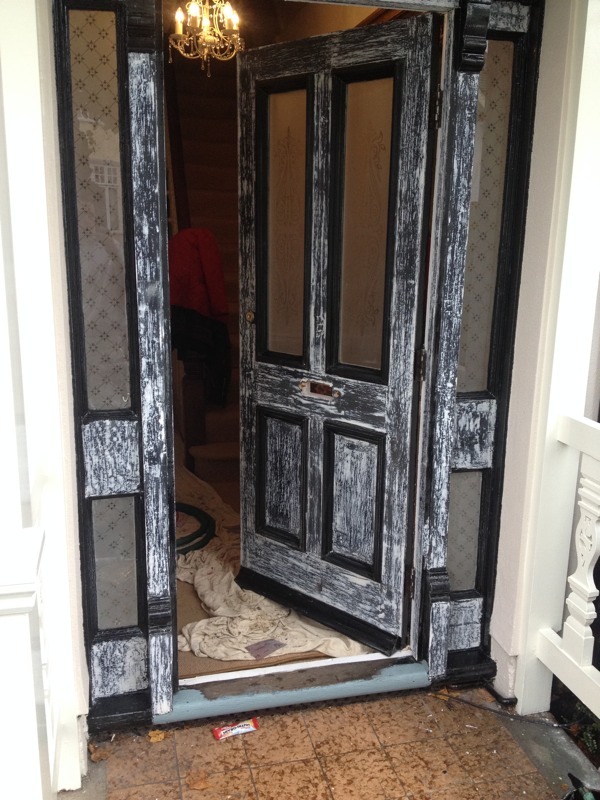 For this decorating job in South Woodford we got a very nice email from our customer who clearly appreciated the extra effort that went into the door! If you have found this article interesting or informative then please subscribe here to receive updates.